Omelion – a revolutionized transparent skin – This is a feature complete, highly customizable, transparent, modern Opera skin with many new icons and clean design with attention to high usability. Z1-Glass is optimzed for Windows Aero. There may be bugs and transparency won’t work with other OS. 3rd+ update for version 11.01 – The very popular “c00” of Jan Henrik Helmers (its onetime version, with animated tabs and red into panel header), more a very transparent speeddial with the impressive background of Klokotik (his Opera wallpaper). It’s spectacular to see on full-screen (F11). Tested on Opera stable version, in January 2011. Click here to full preview. When changing skins, always restart the application. It’s advisable for a proper installation. Absolutely transparent skin for Windows 7/Vista. 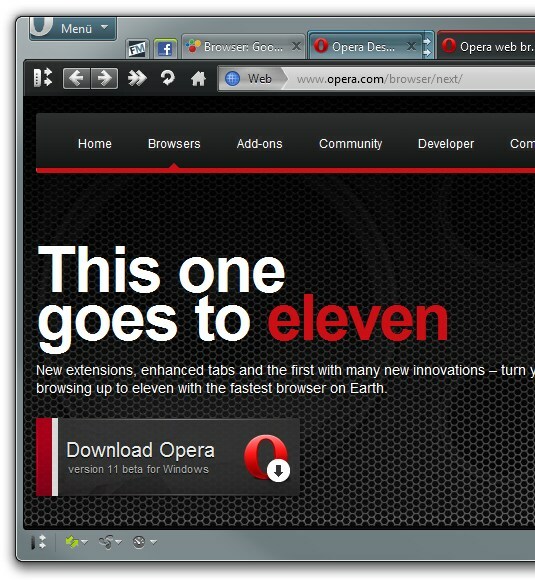 ONLY FOR OPERA 11.0*. Skin optimized for Windows Aero. 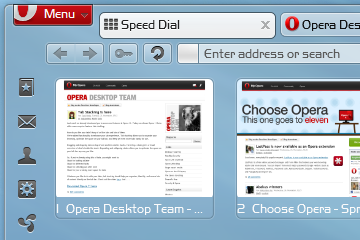 Restart Opera after applying the skin. In Speed Dial settings it’s better to disable background image. For a basis it is taken skin z1-glass from author Z1-AV69 and corrected some details.All visible elements are modified with the maximum accuracy. The effect of a transparency is applied practically to all elements of “Glass” style. Interface basic have a classical appearance. At icons and interface elements basically used the classical form of “Opera”.